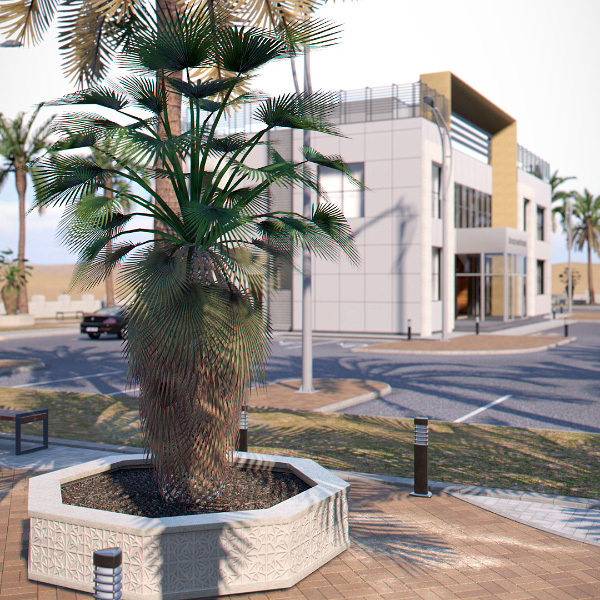 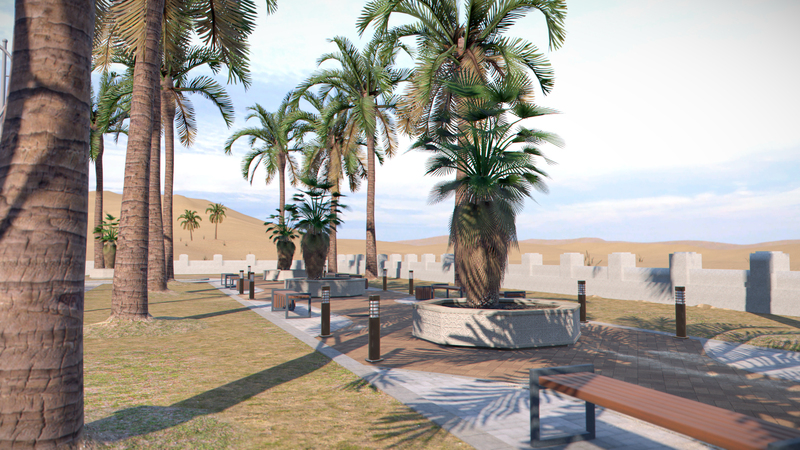 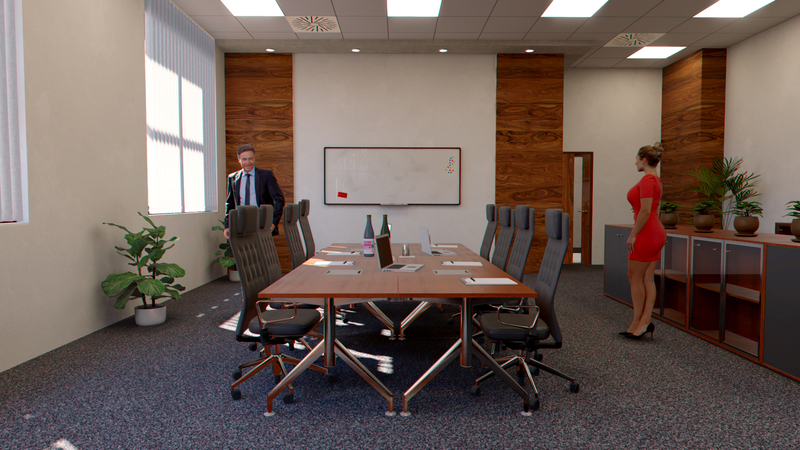 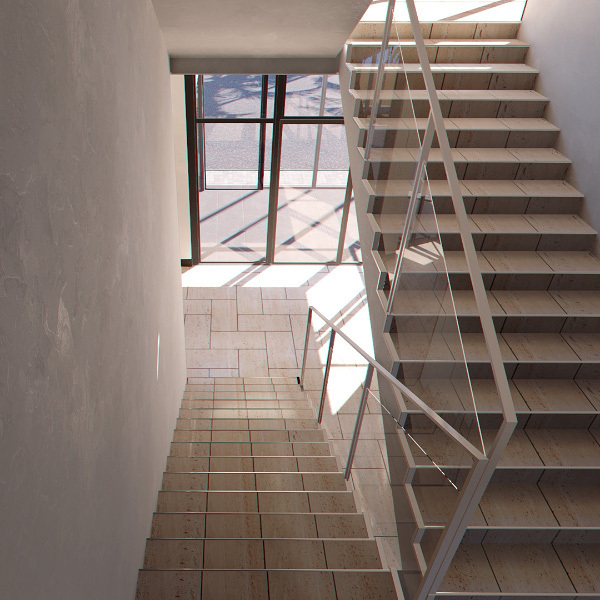 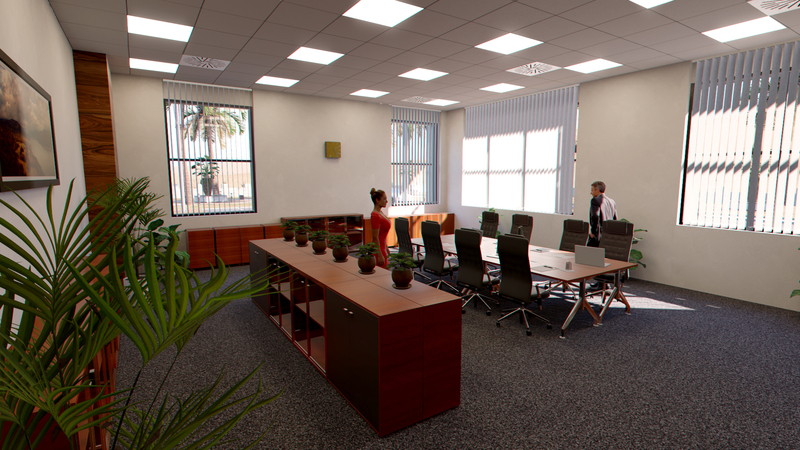 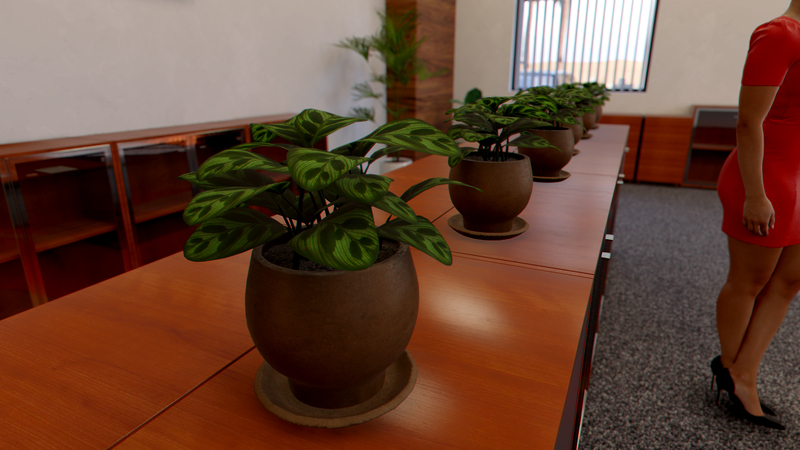 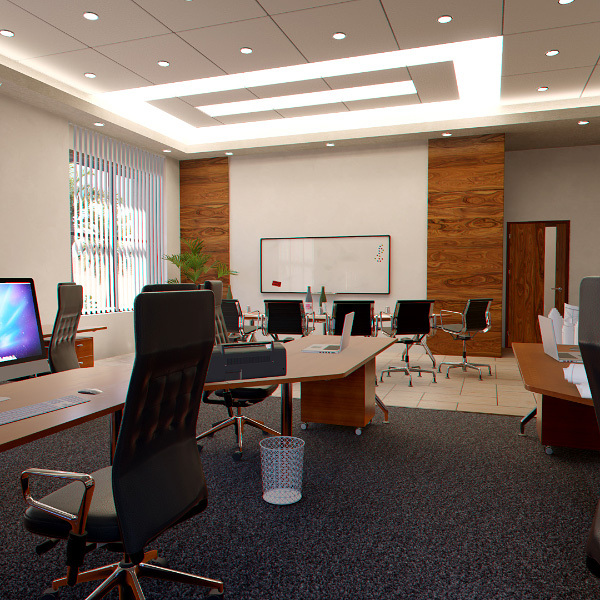 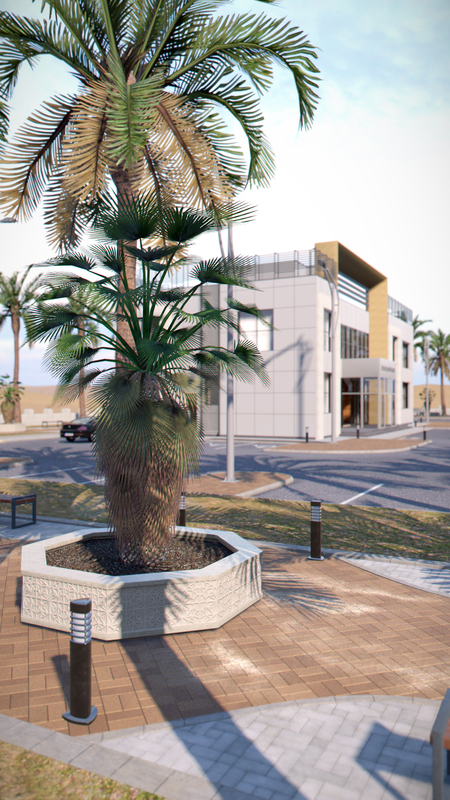 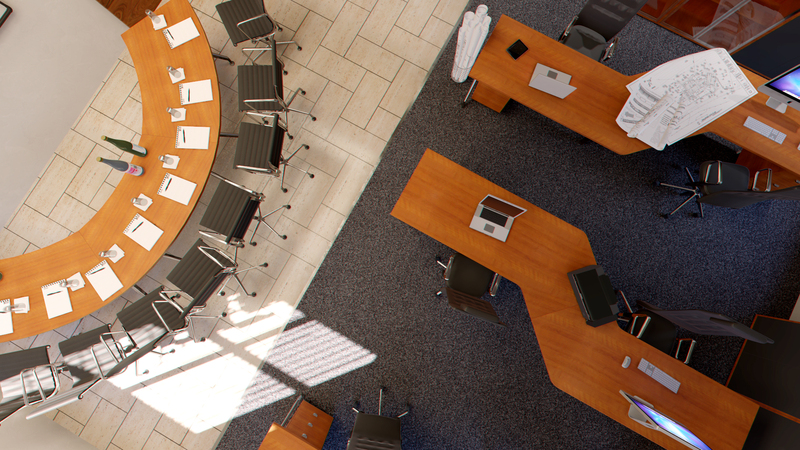 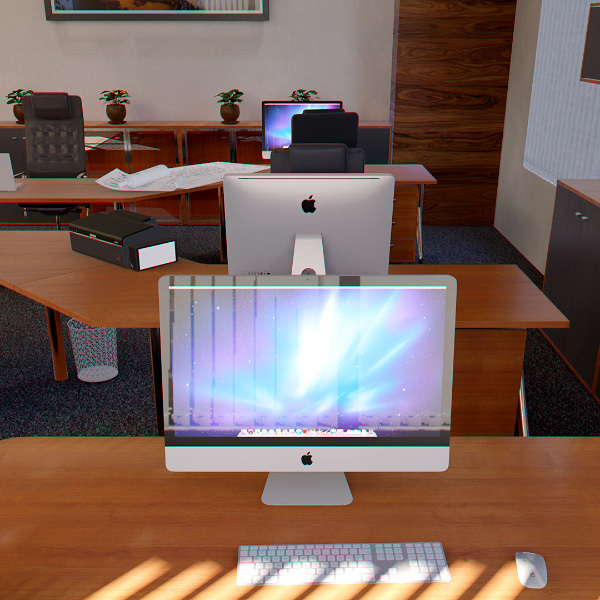 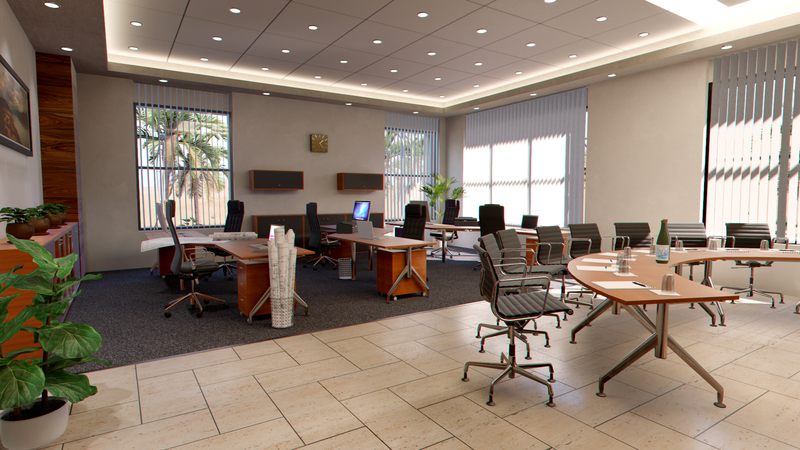 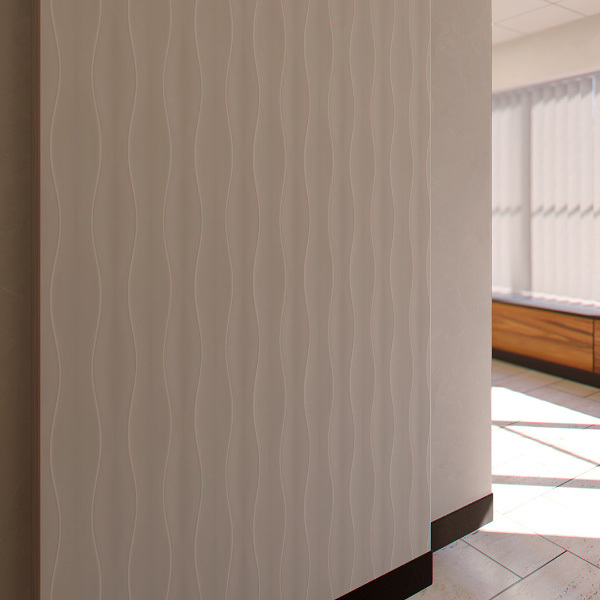 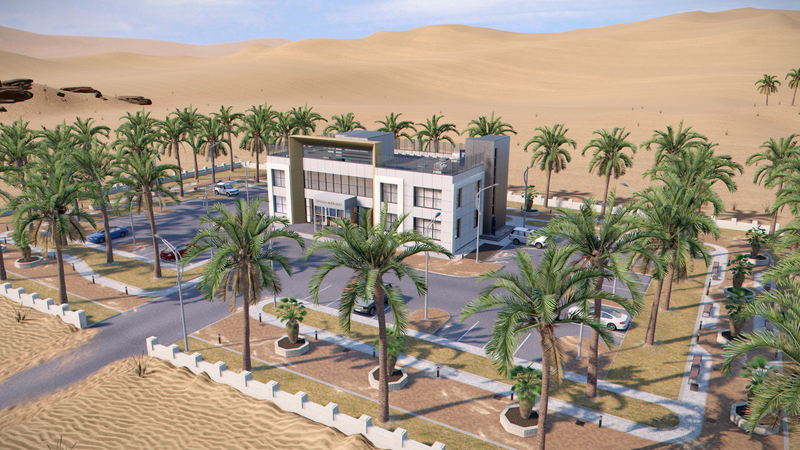 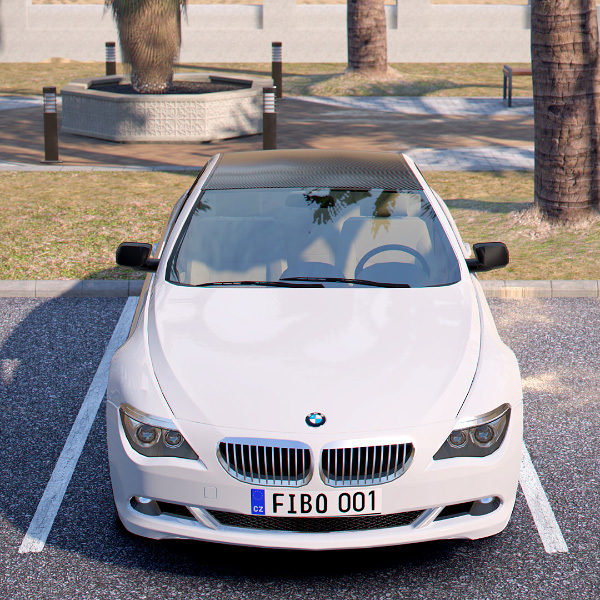 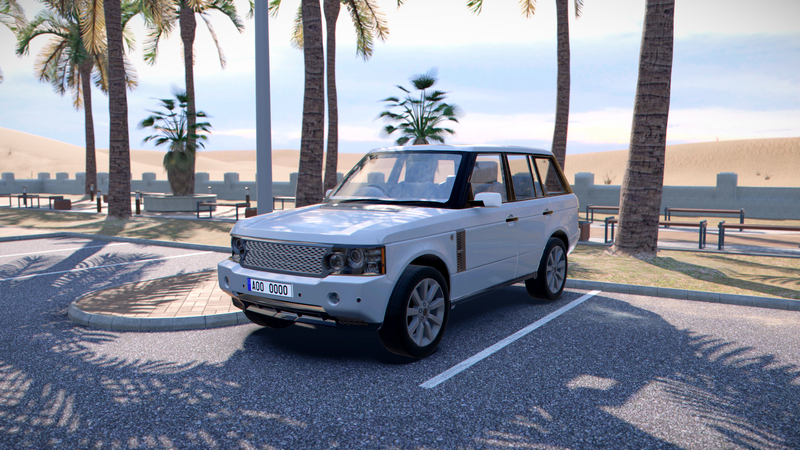 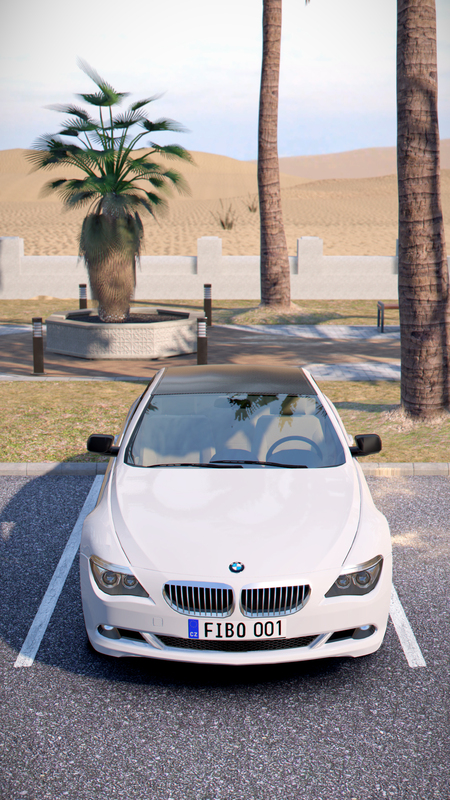 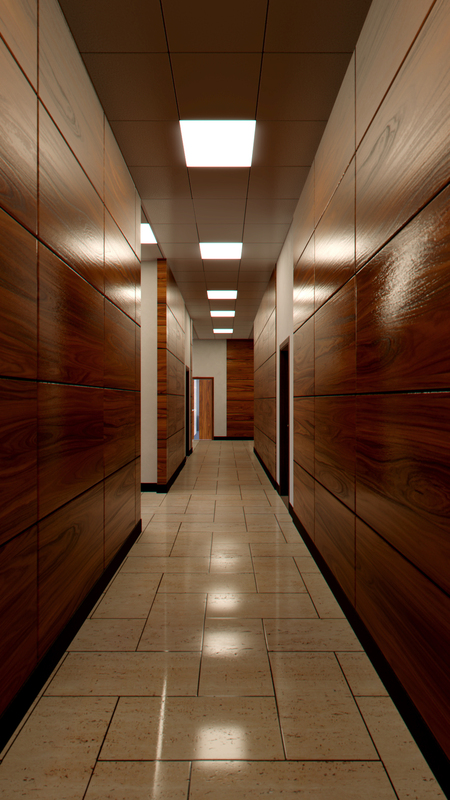 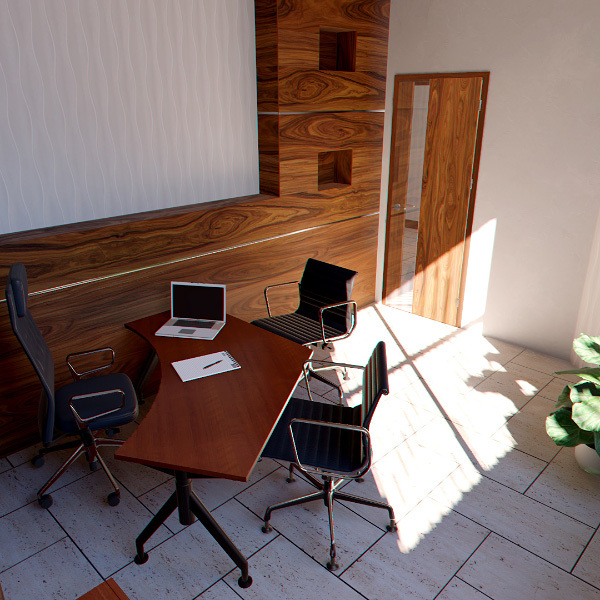 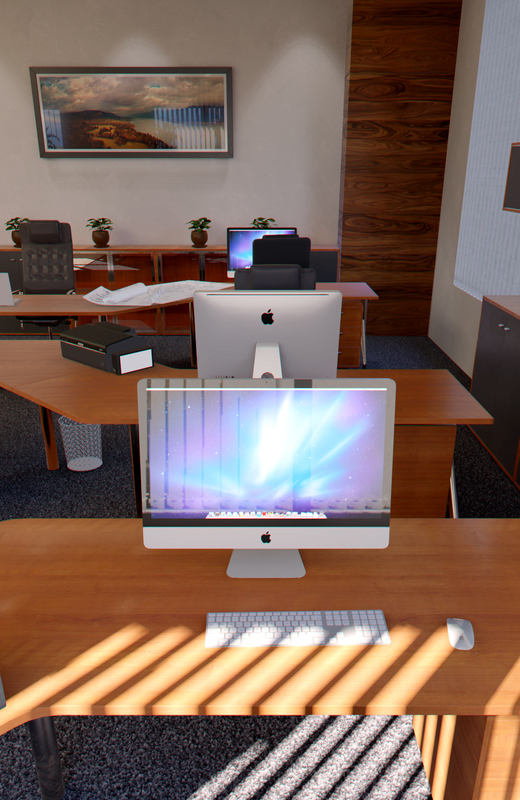 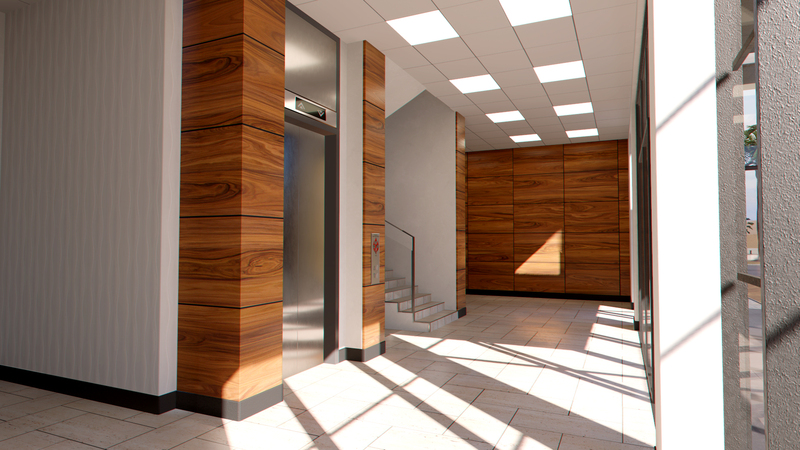 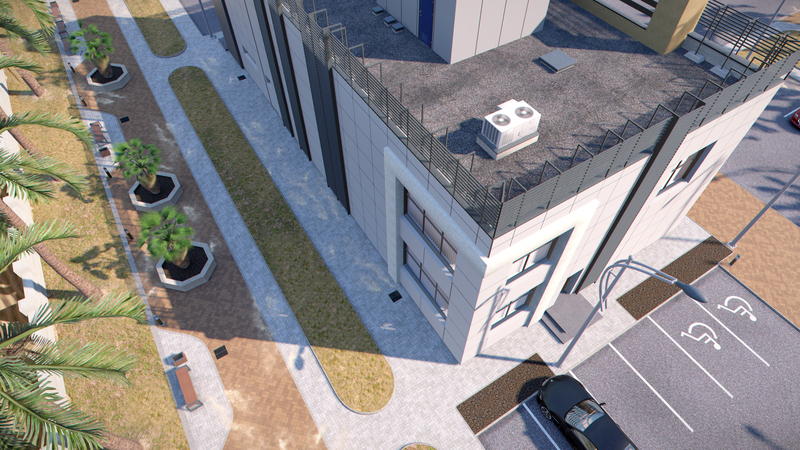 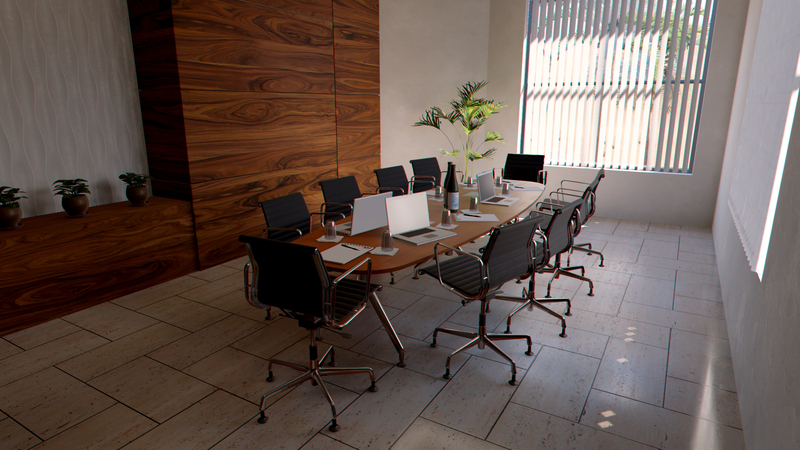 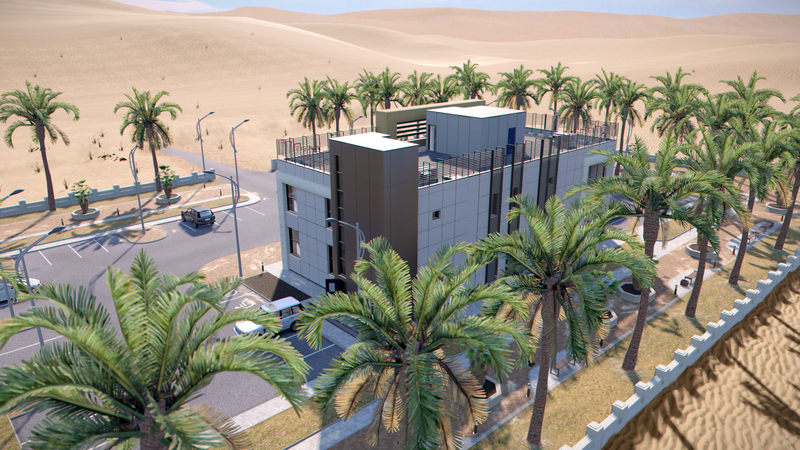 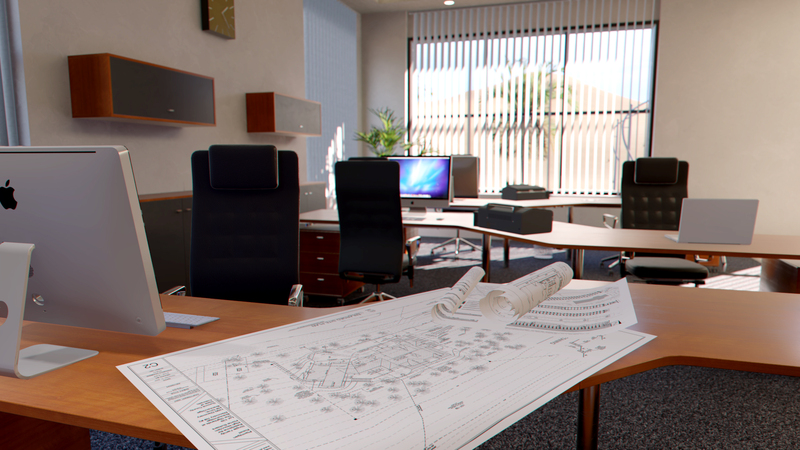 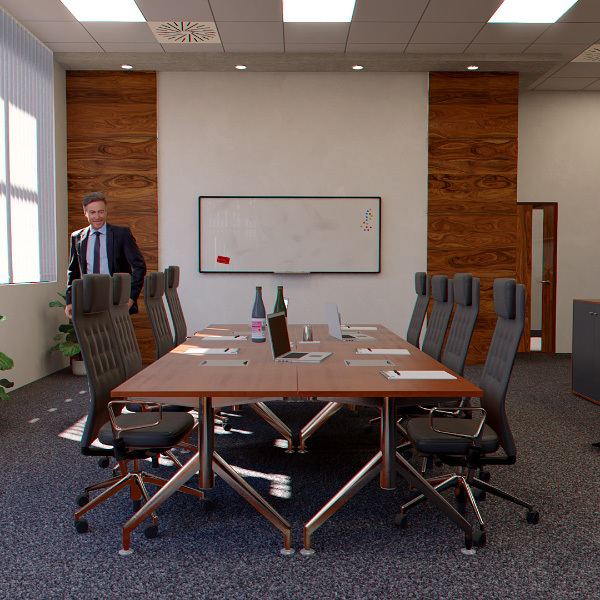 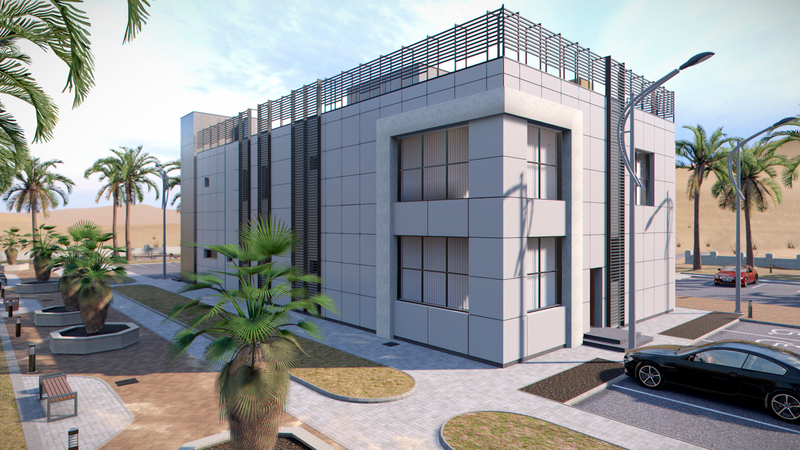 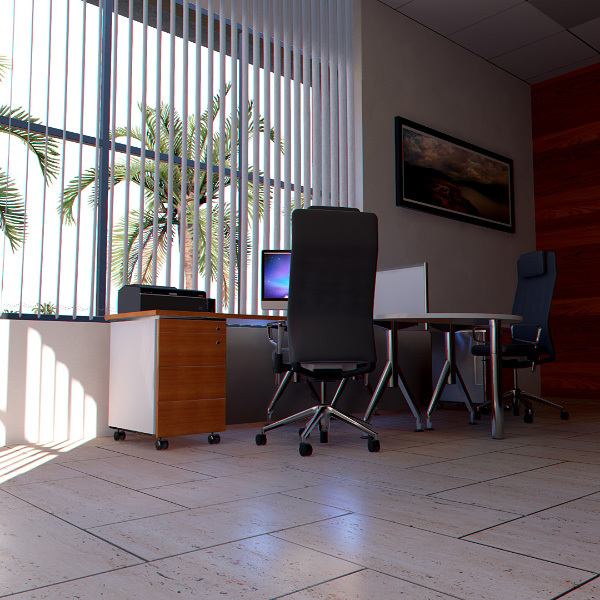 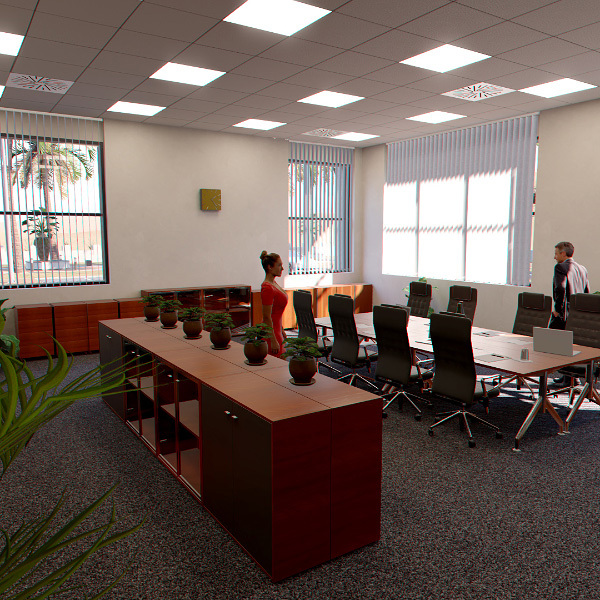 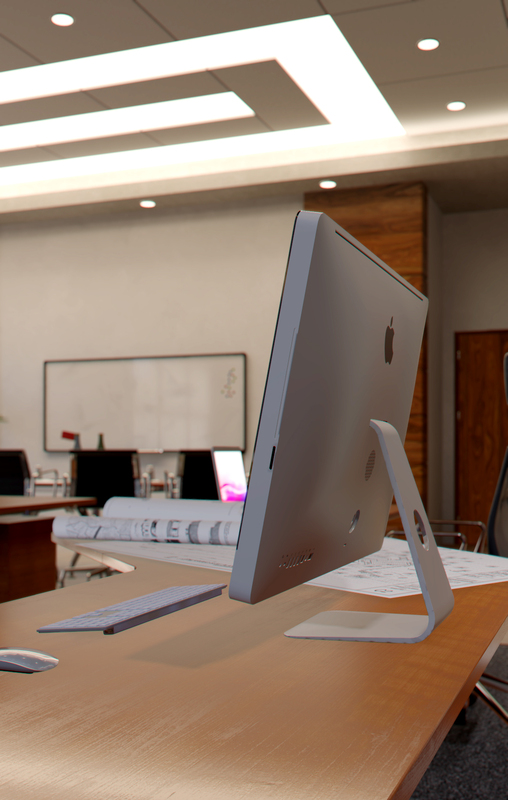 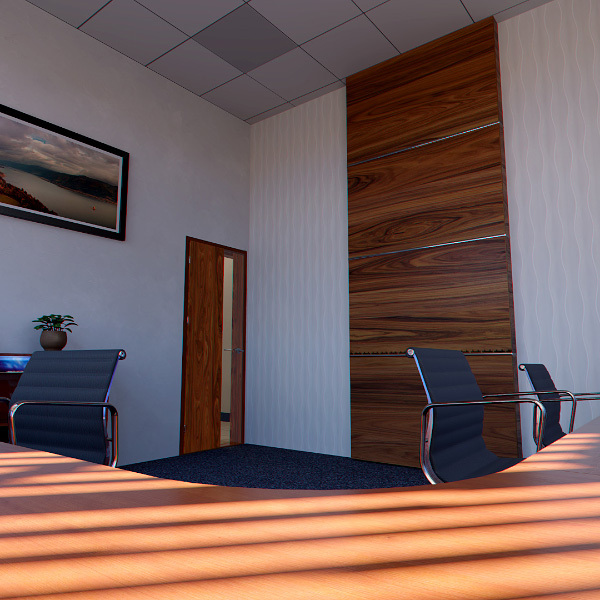 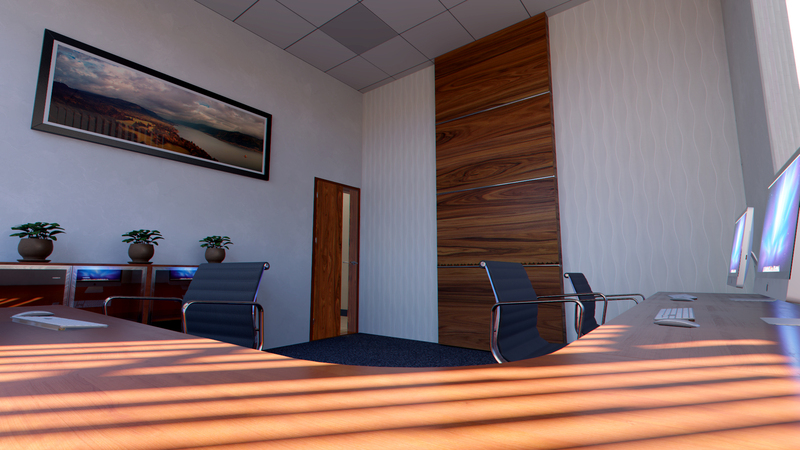 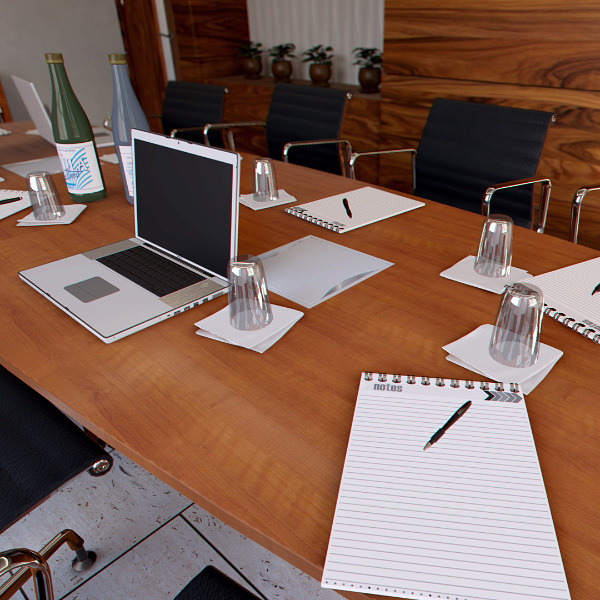 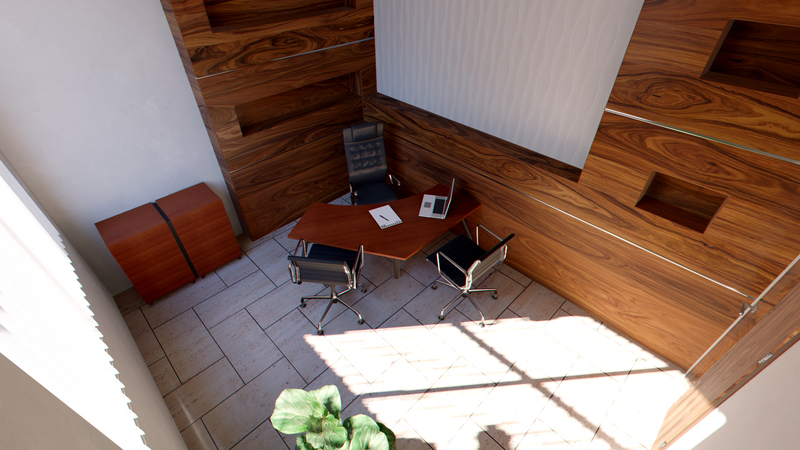 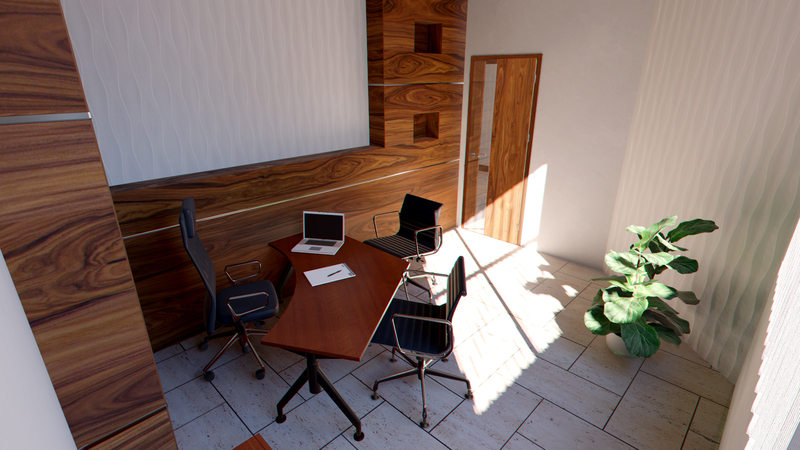 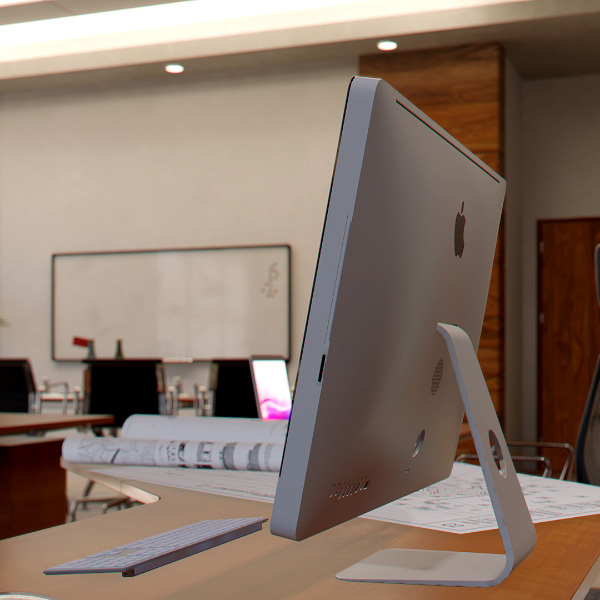 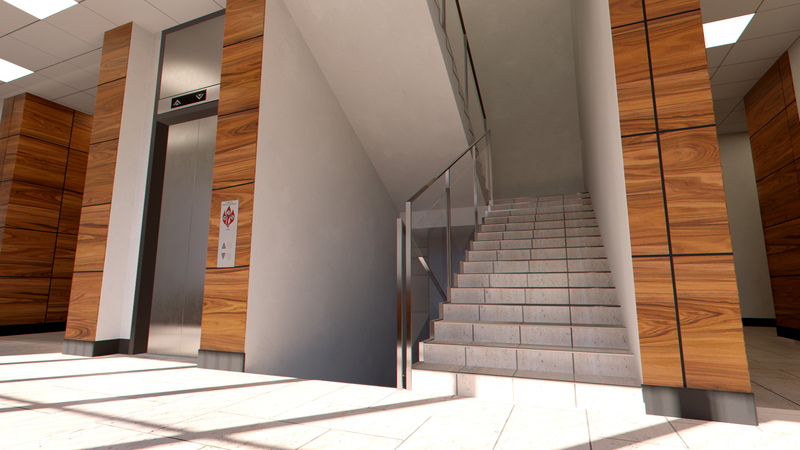 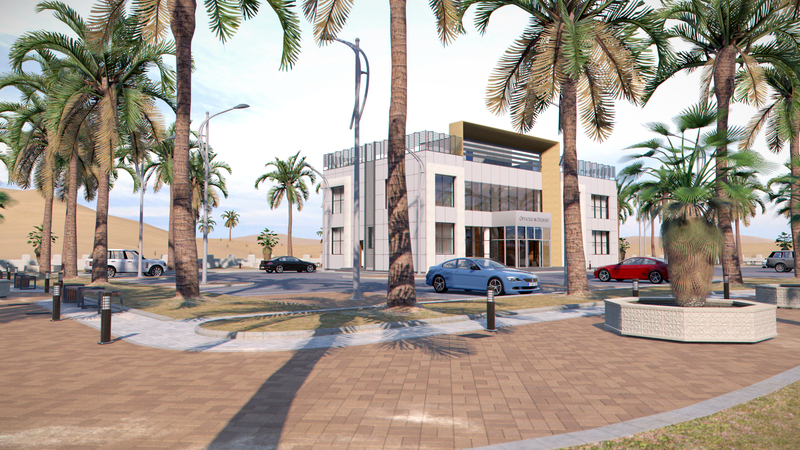 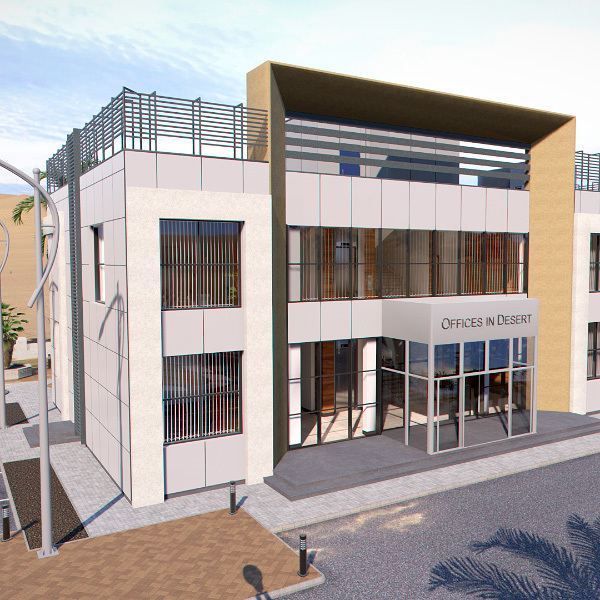 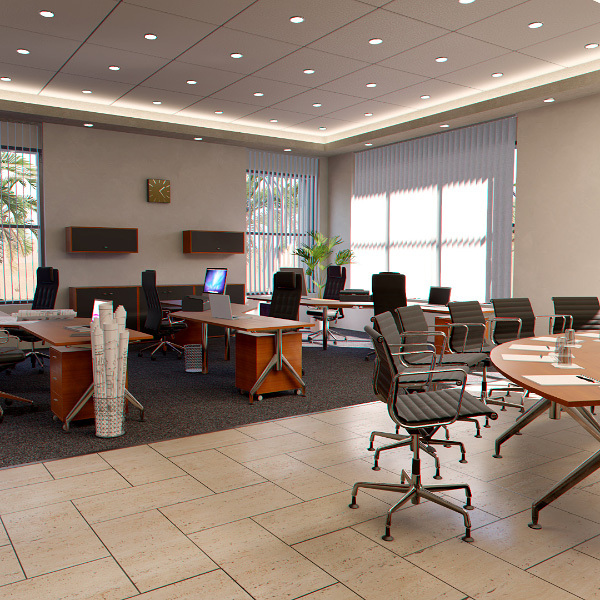 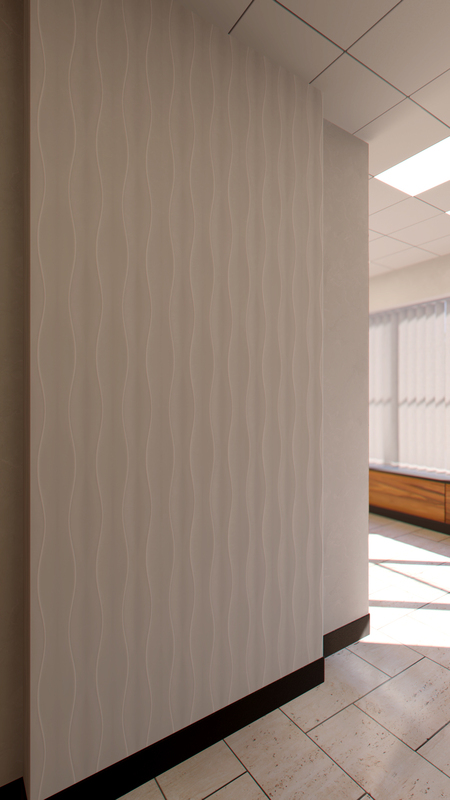 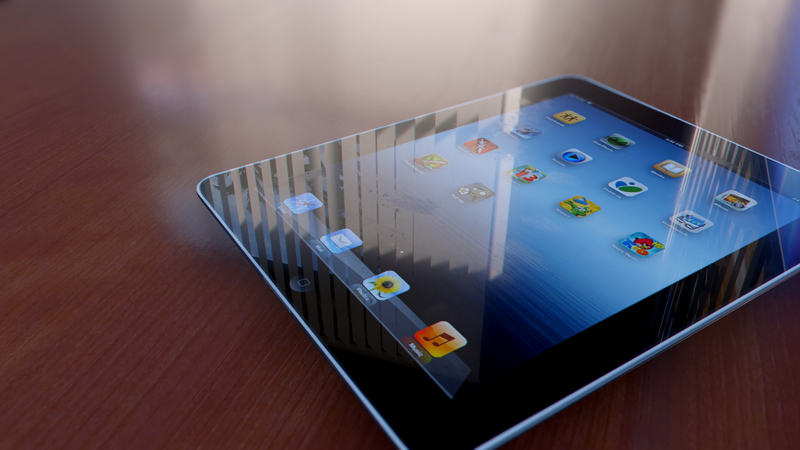 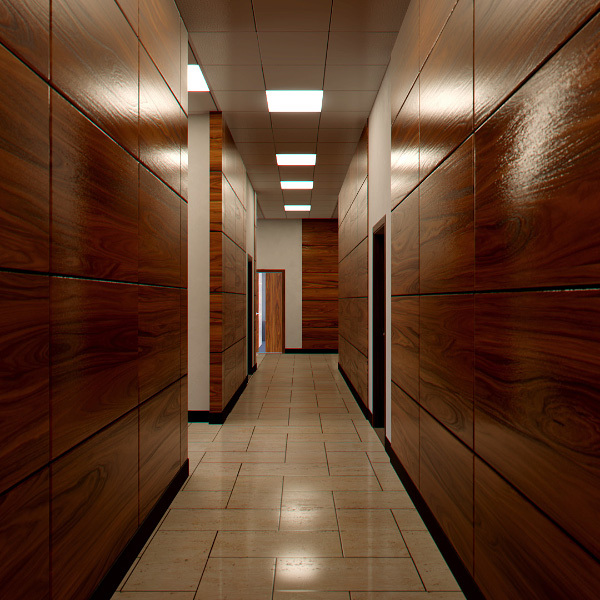 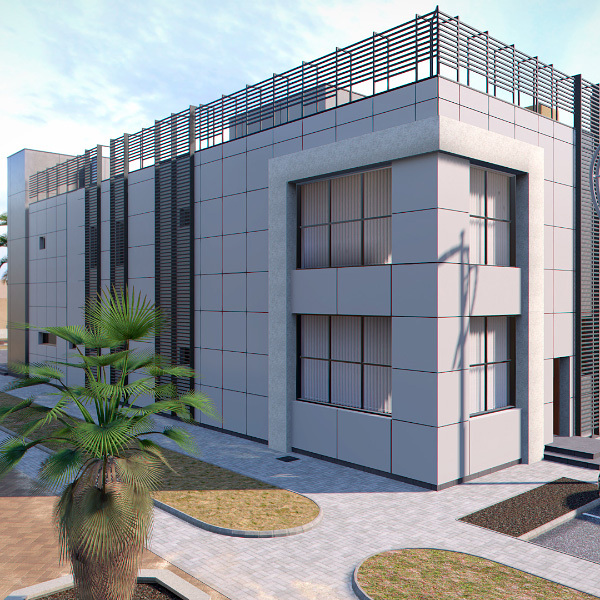 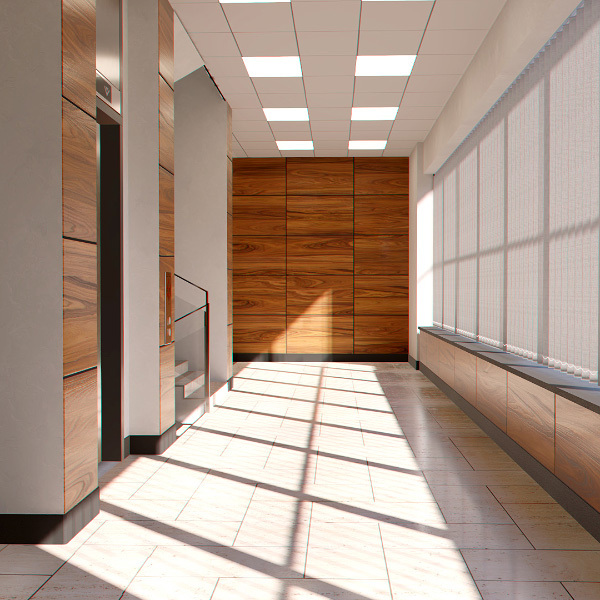 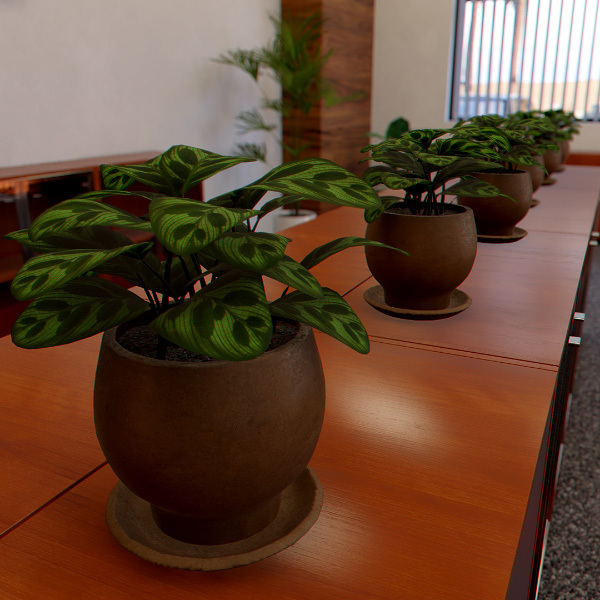 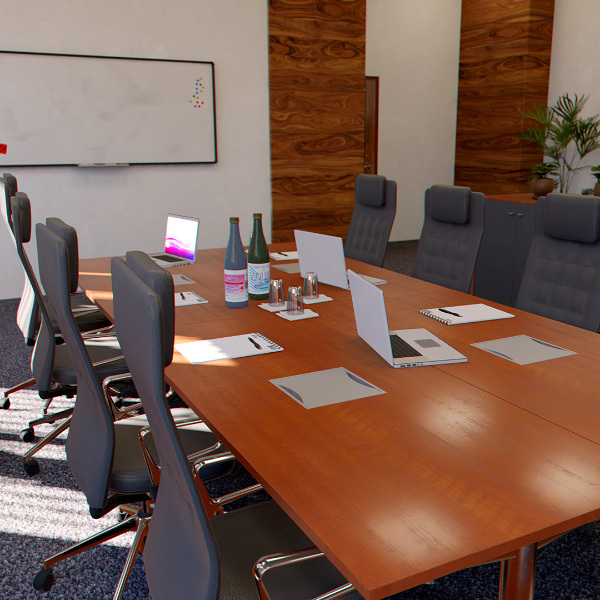 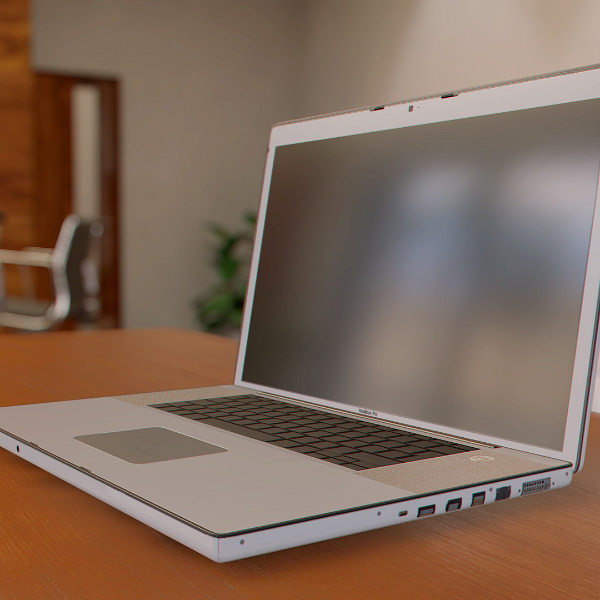 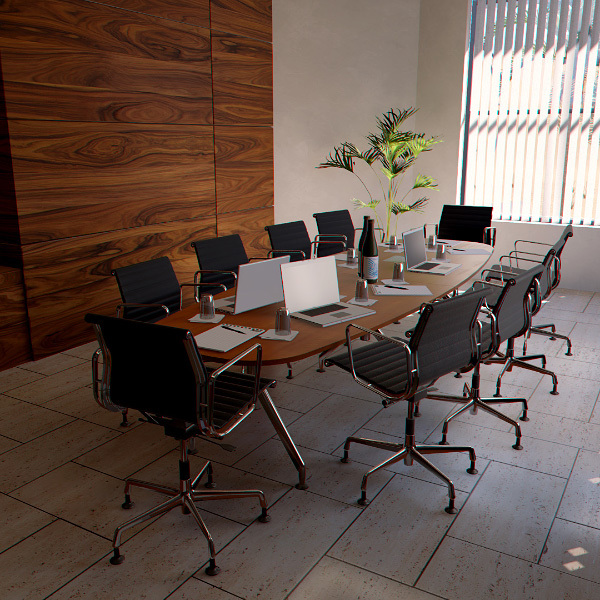 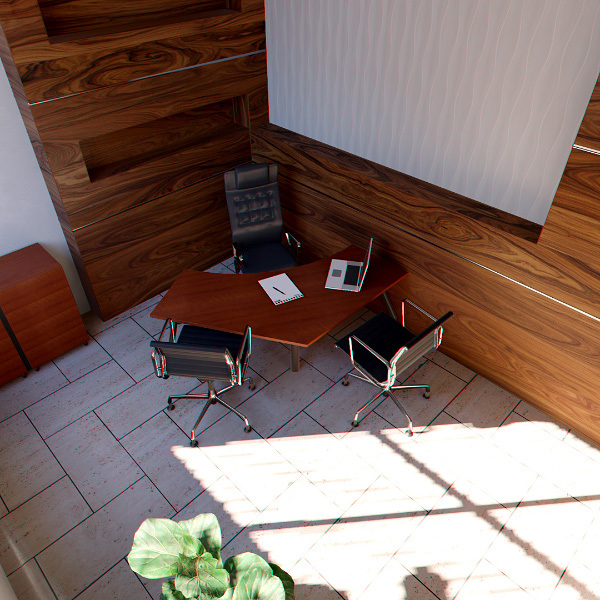 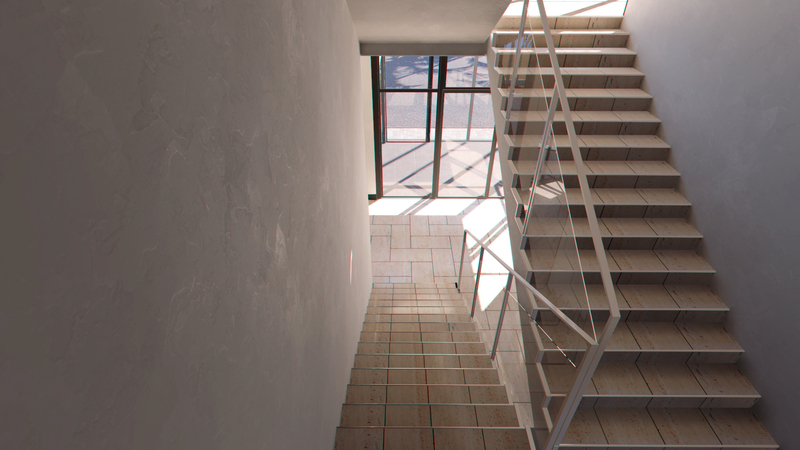 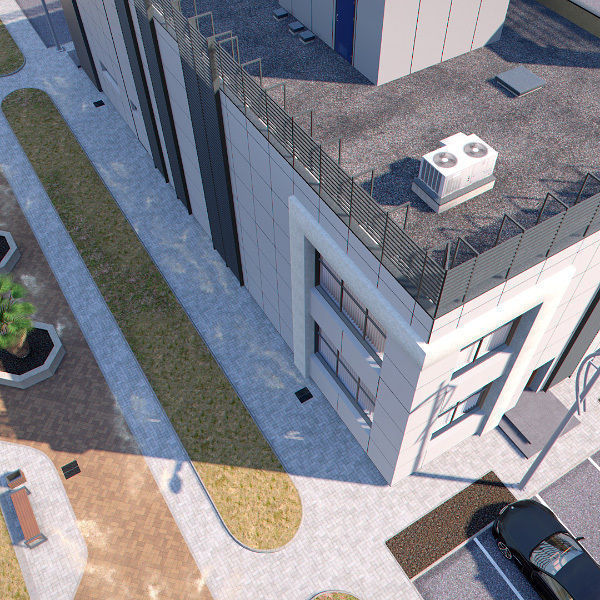 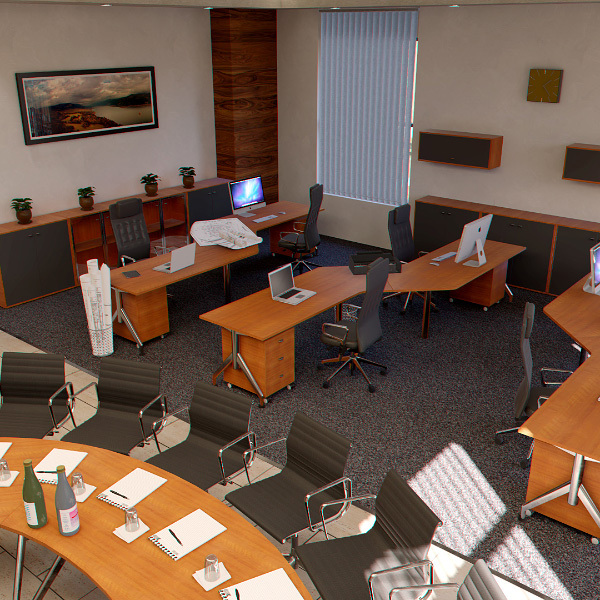 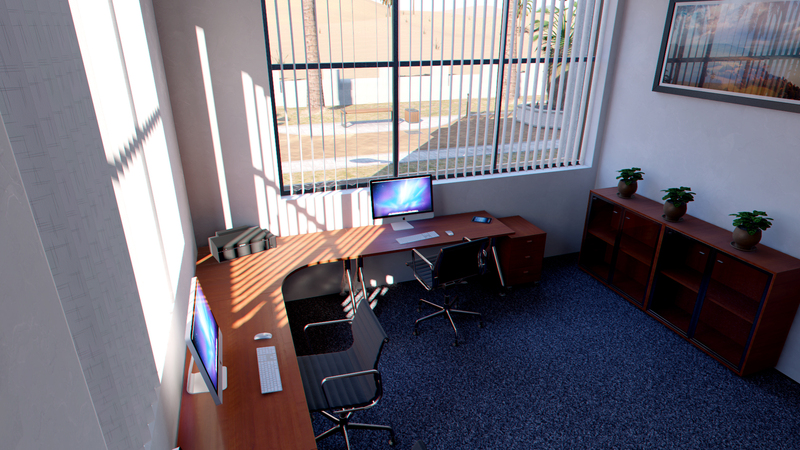 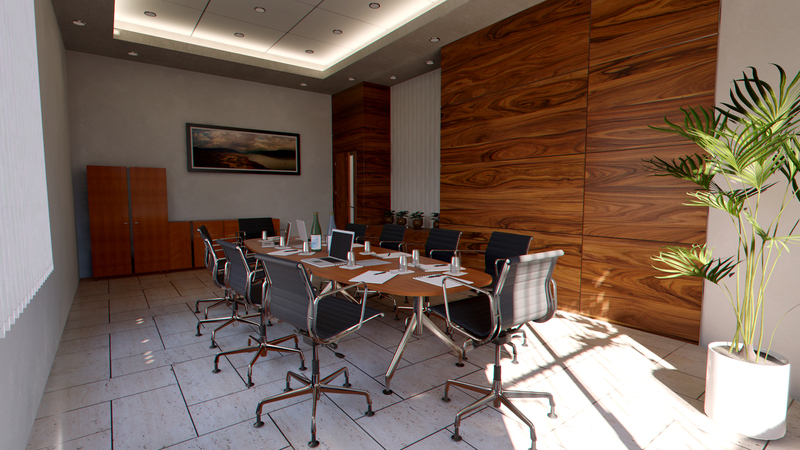 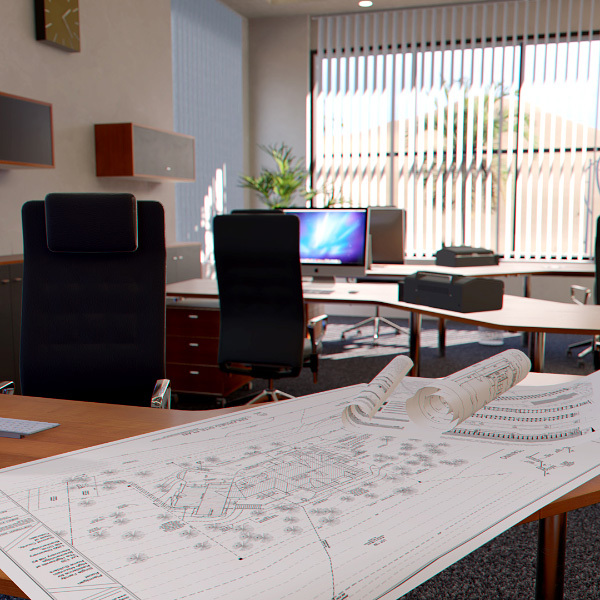 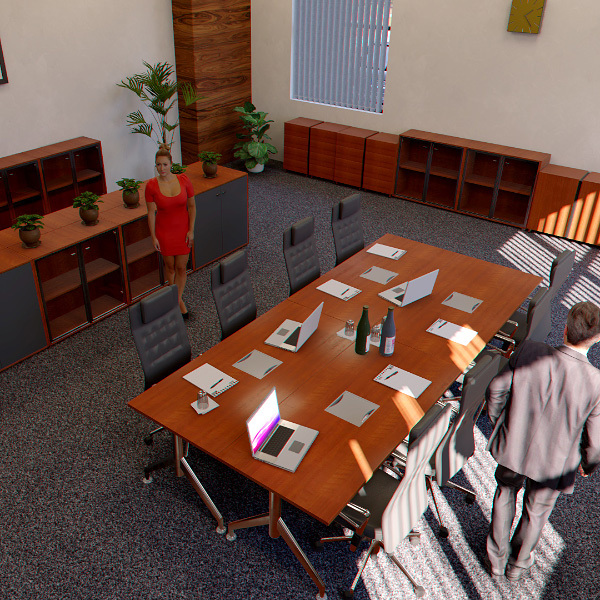 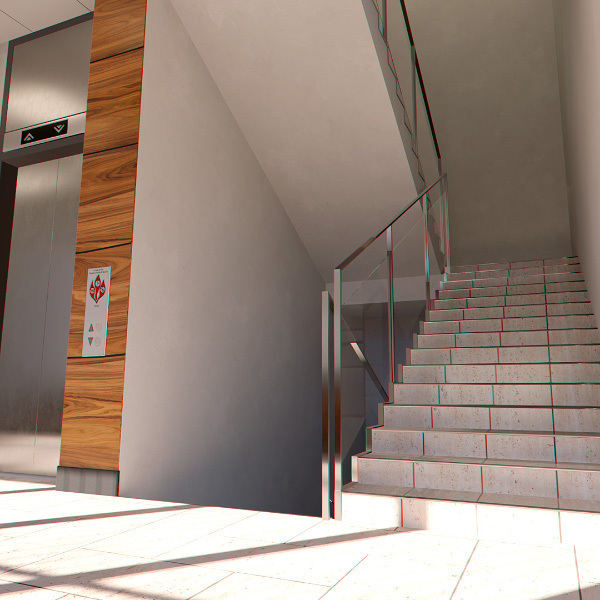 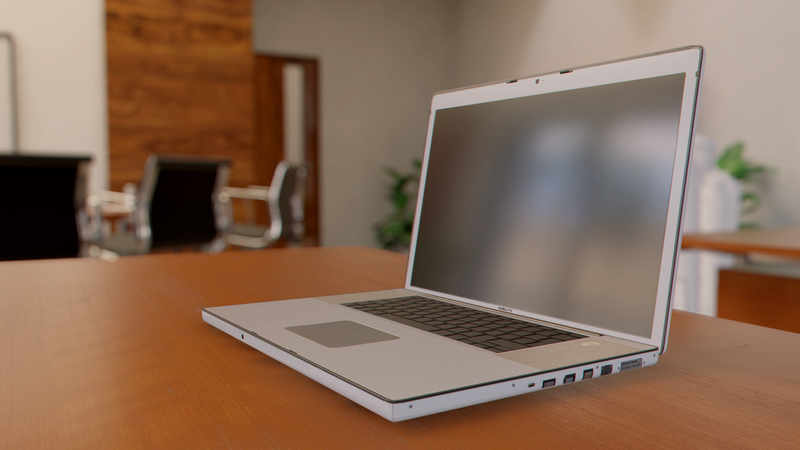 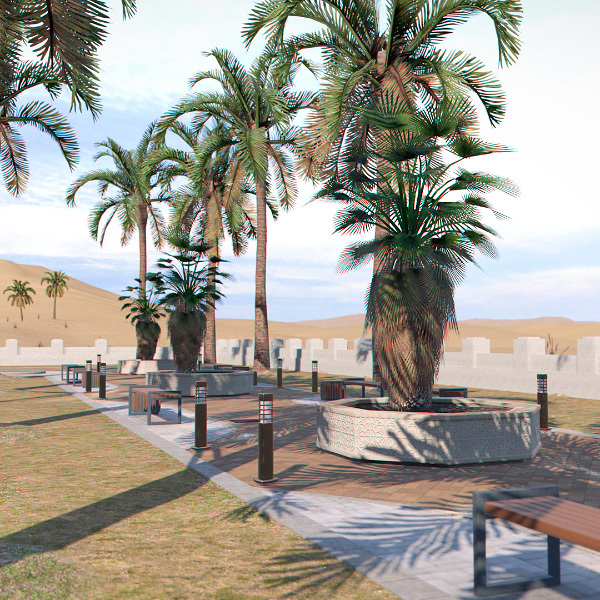 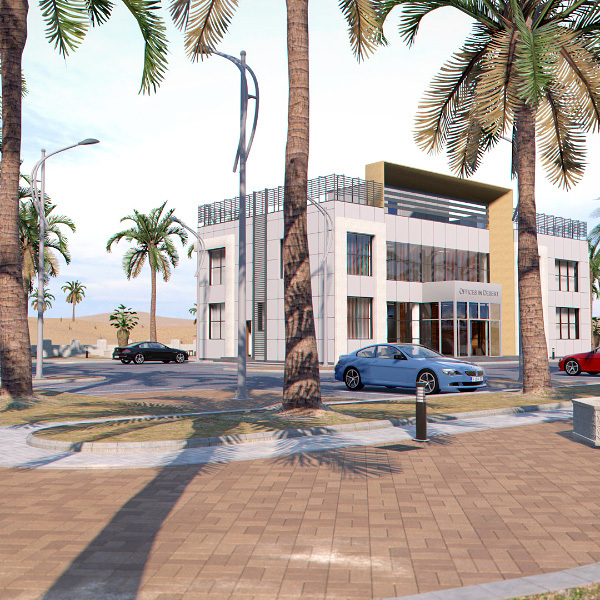 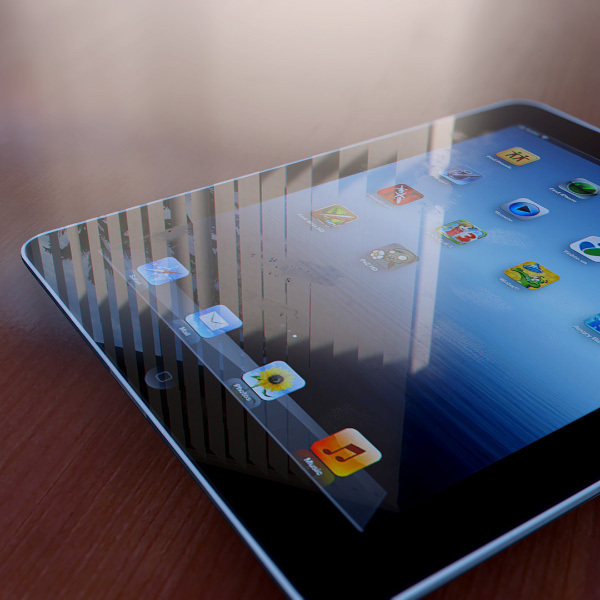 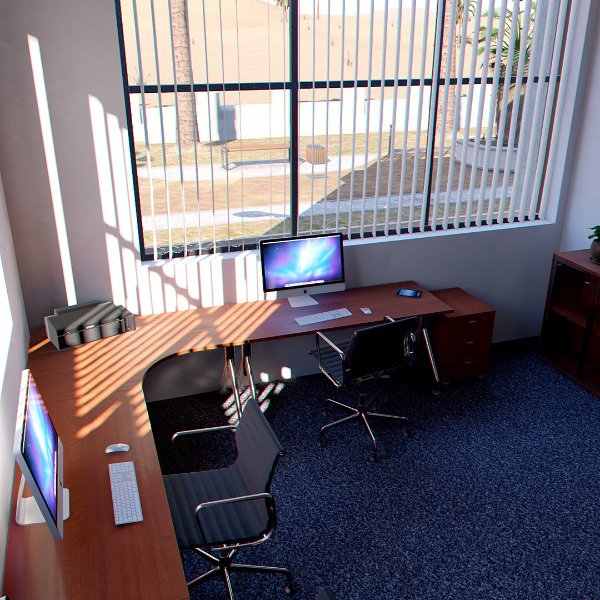 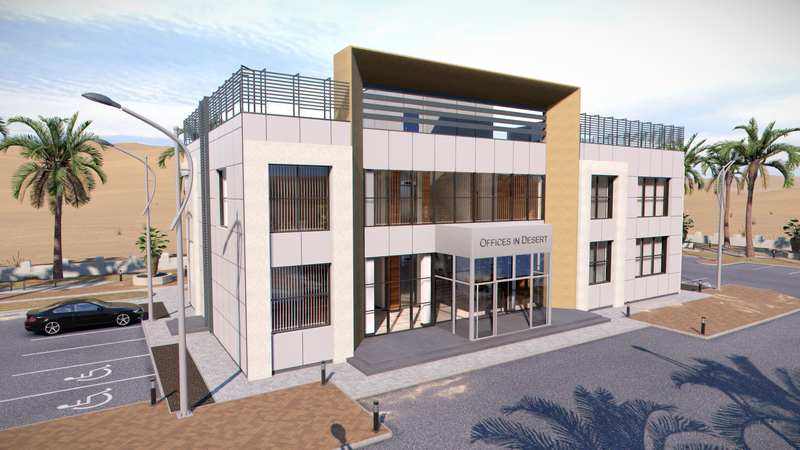 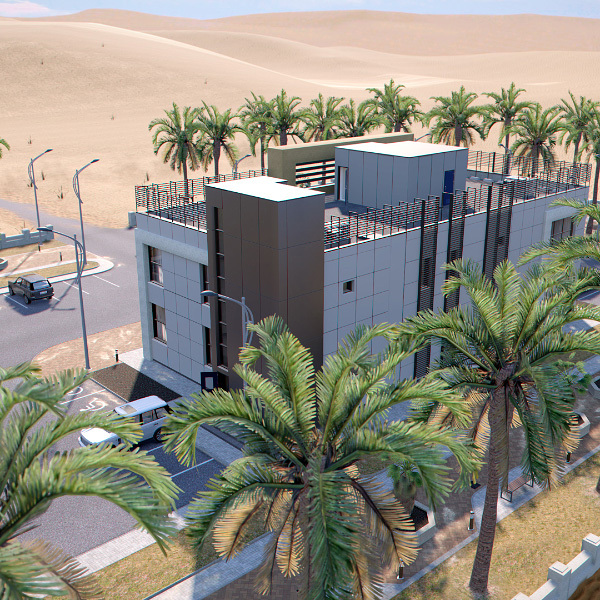 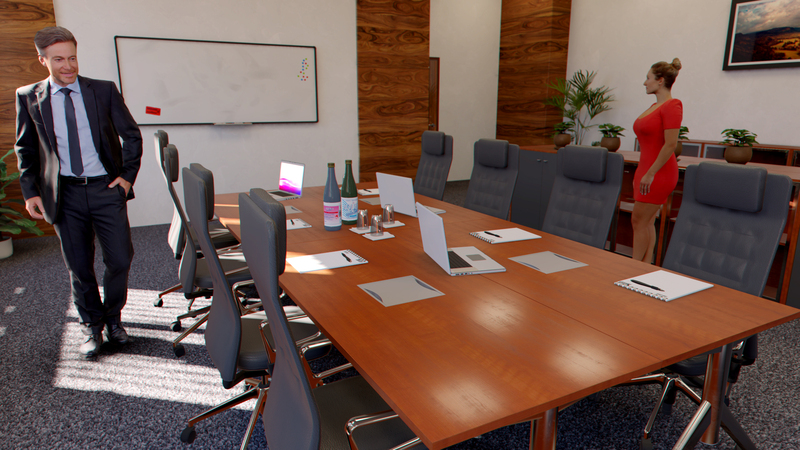 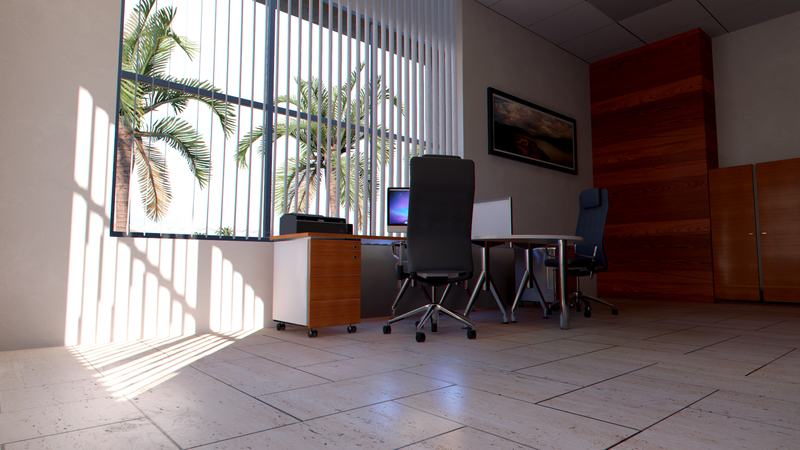 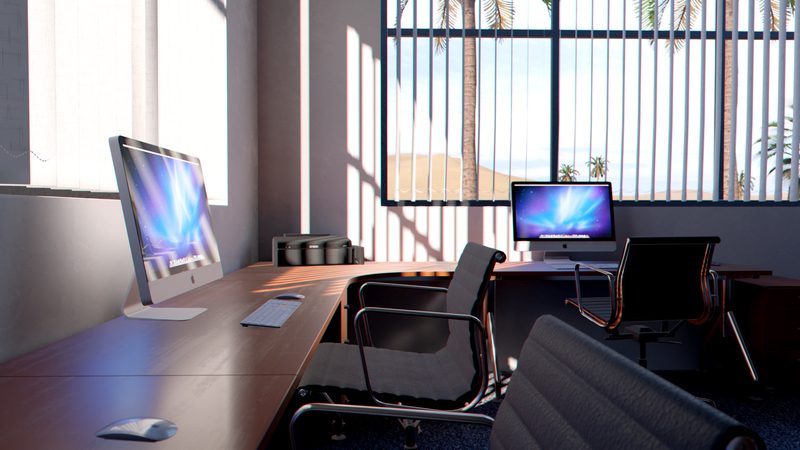 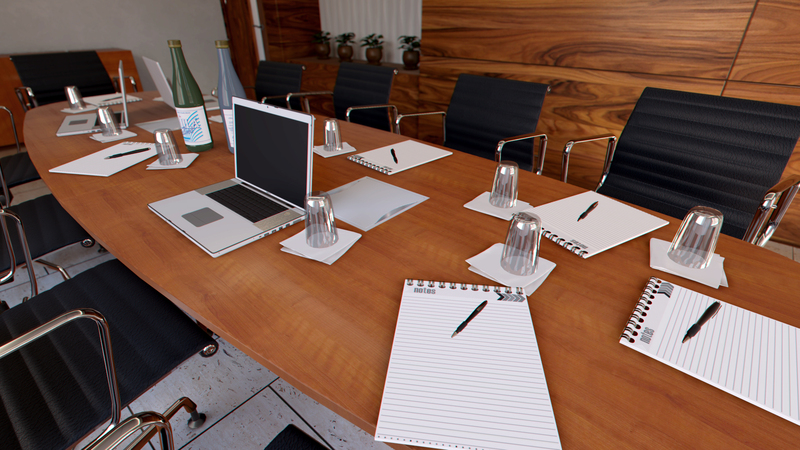 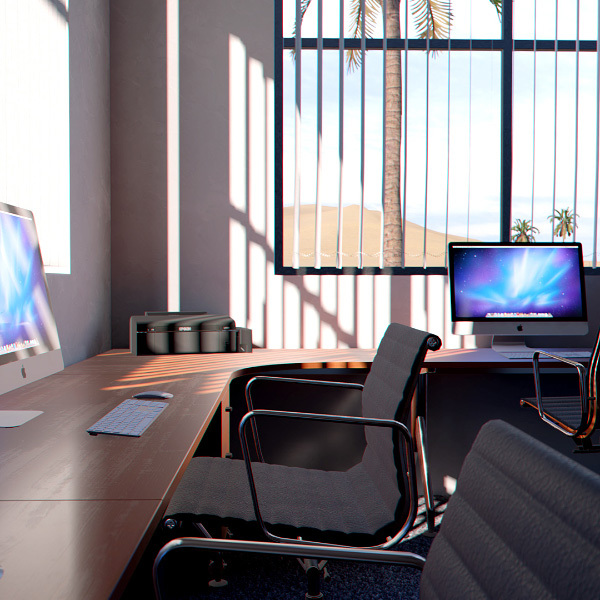 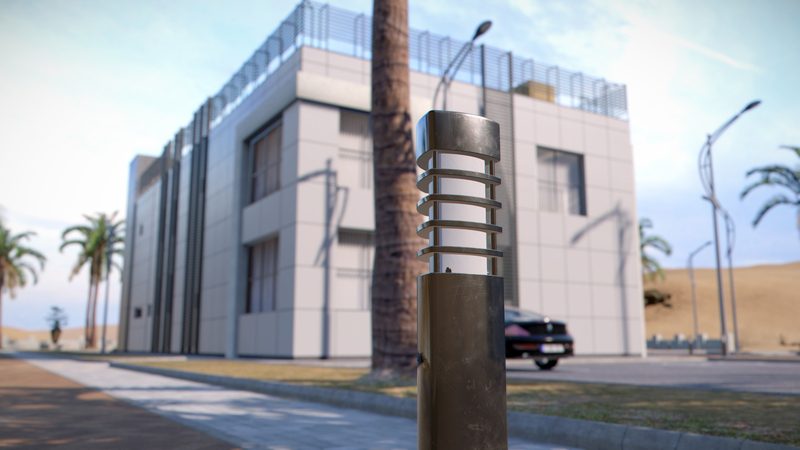 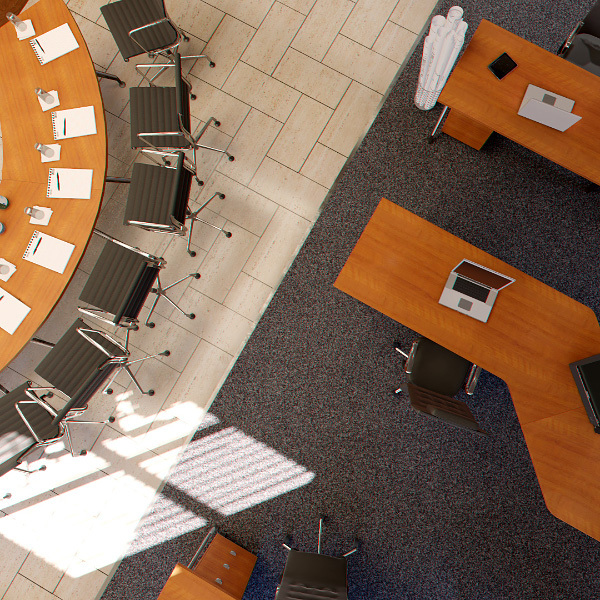 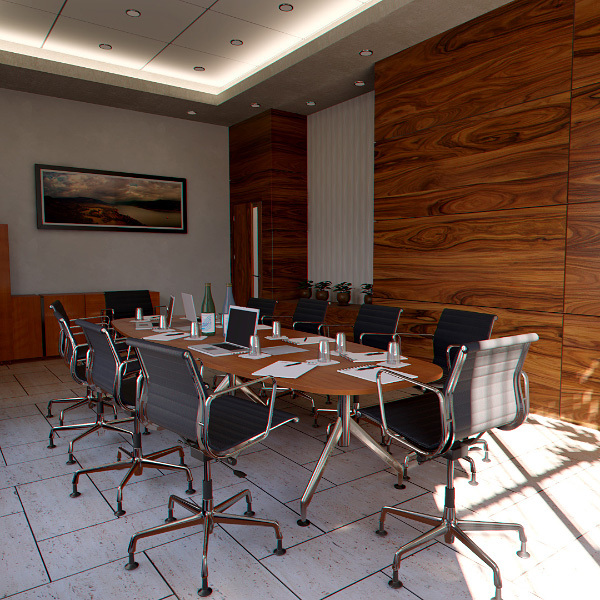 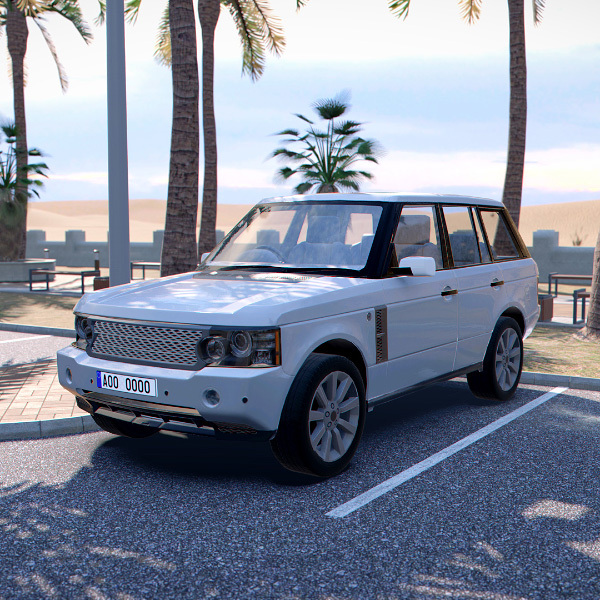 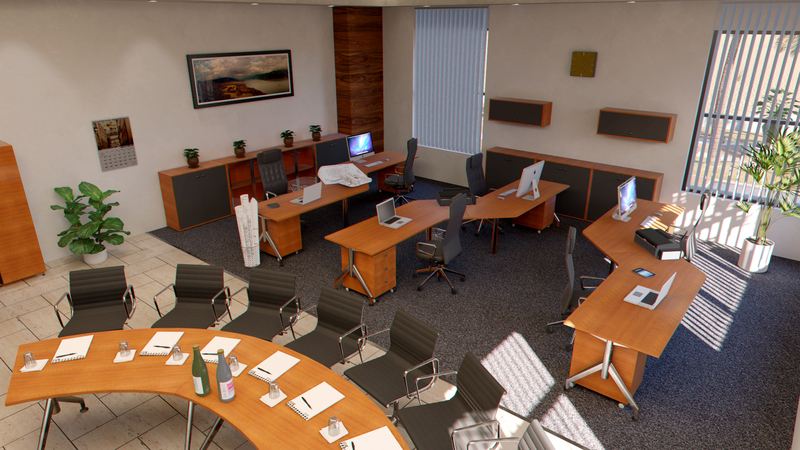 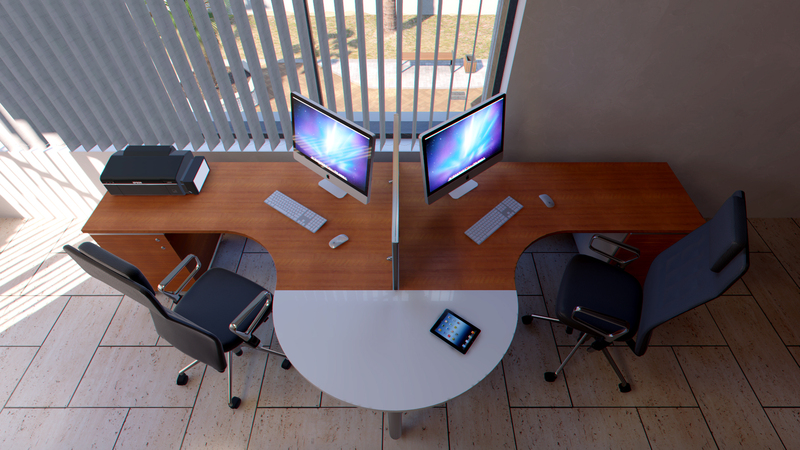 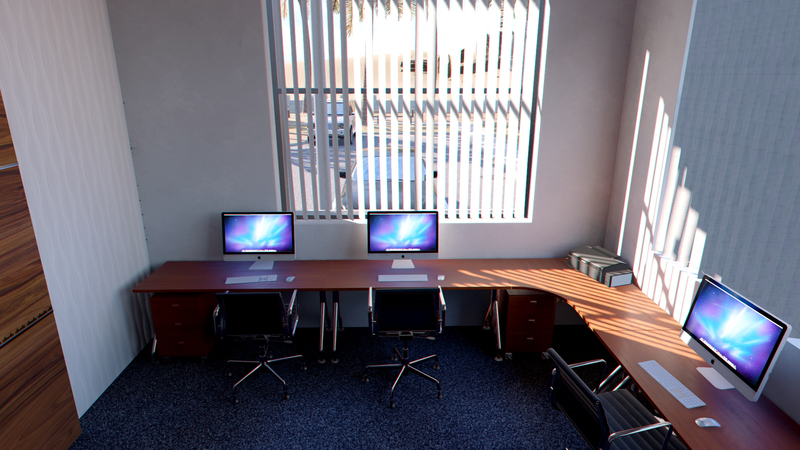 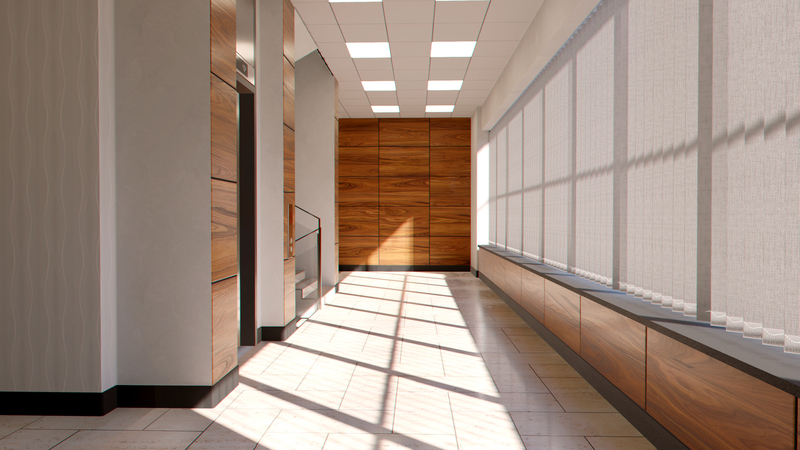 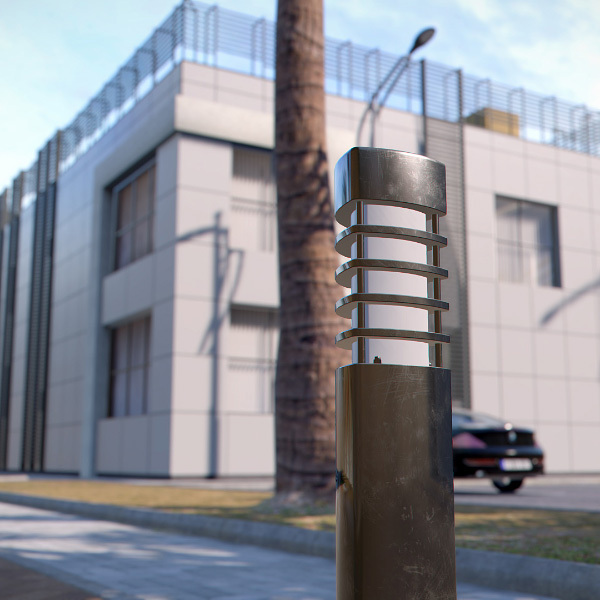 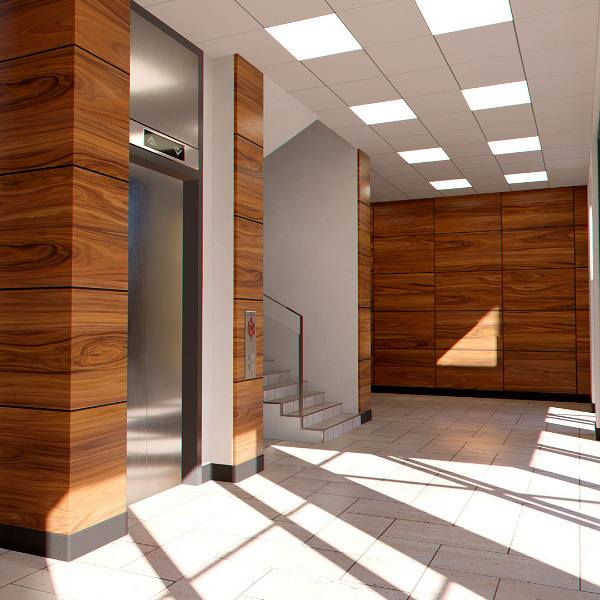 Our client from Dubai / Emirates asked us to model and visualize his new family office building. 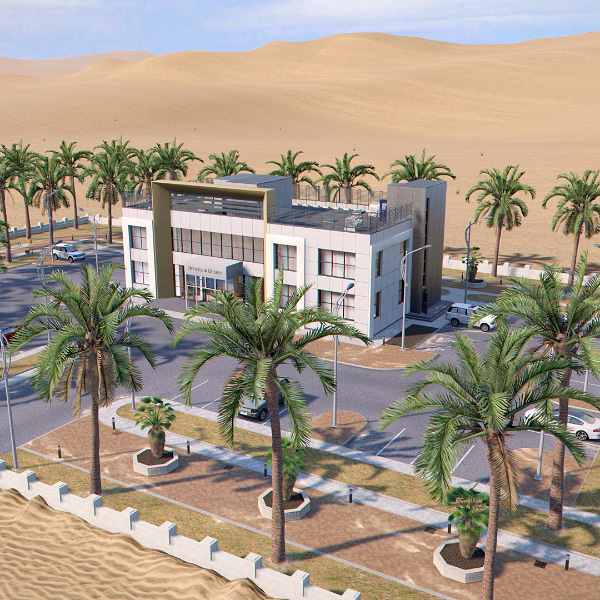 As he was not sure yet in which exact location the office will be constructed, we decided to position it in an "usual" environment for the region. 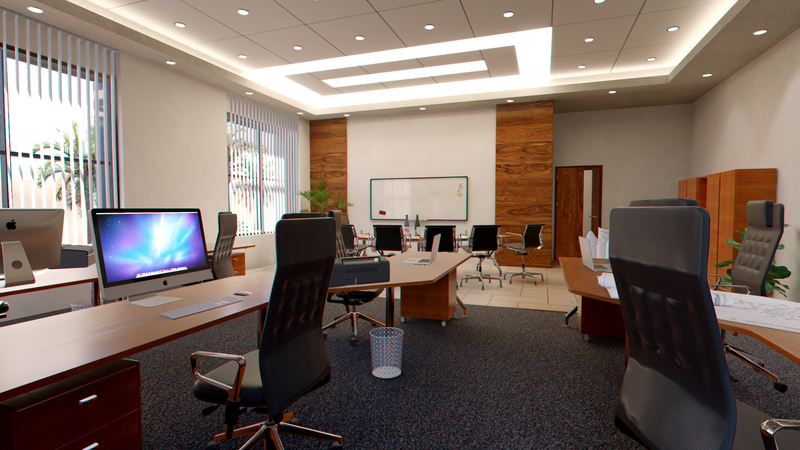 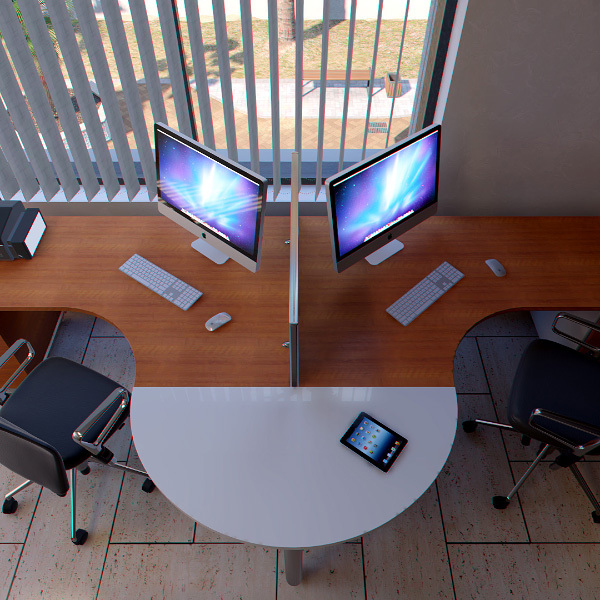 The focus is on the interior design and workplace itself and how to manage the capacity of desk, seats and work stations in each room. 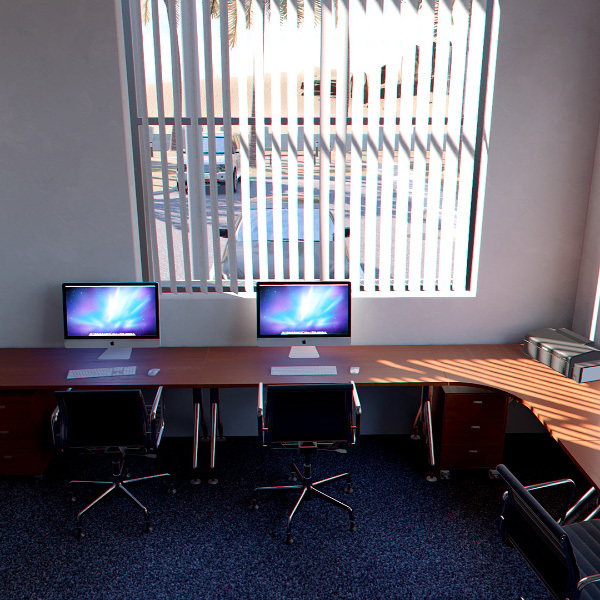 In order to create a nicer atmosphere, we integrated waving palms or flying birds and used animated doors, sounds or running computers in the PC-Walkthrough.